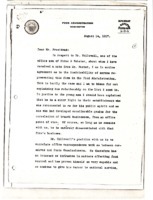 Creator is exactly "Hoover, Herbert, 1874-1964"
Herbert Hoover writes a memorandum regarding the investigation of Chicago meat packers. 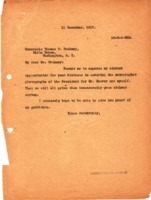 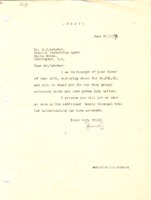 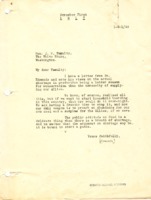 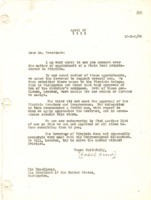 Herbert Hoover thanks Tumulty for his letter regarding stopping in Oklahoma City on his trip west. 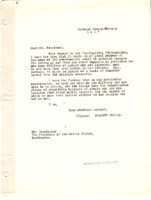 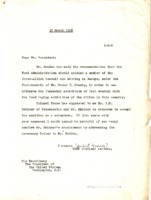 An anonymous person thanks Thomas Brahany for securing autographed photographs of Woodrow Wilson for Herbert Hoover and himself. 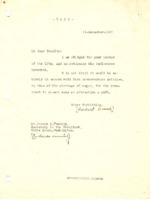 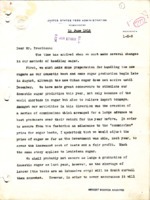 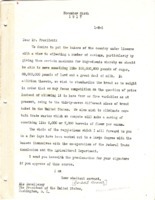 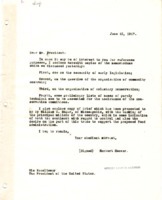 Herbert Hoover does not think it is appropriate for the President to accept a gift due to the current sugar shortage. 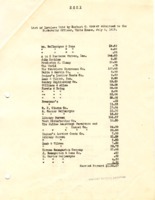 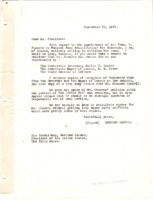 Herbert Hoover forwards an invoice from the LC Smith Typewriter Company to the White House to be paid. 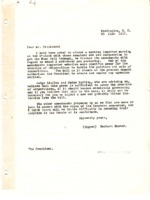 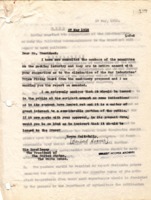 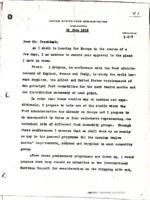 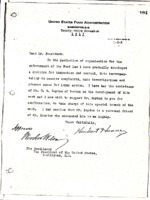 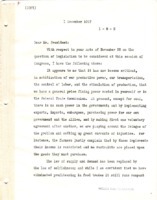 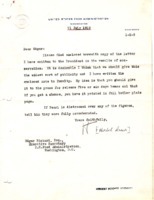 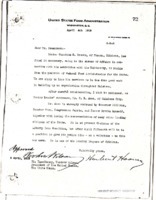 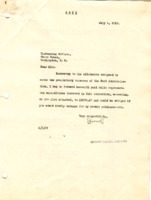 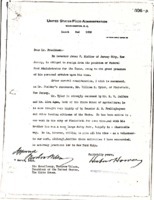 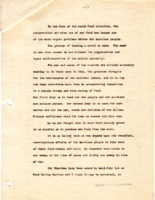 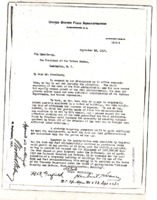 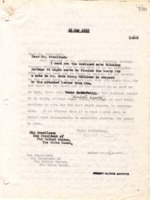 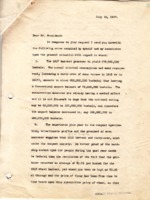 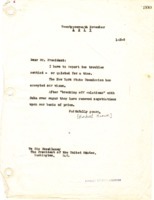 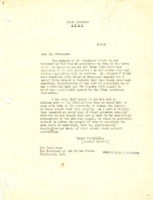 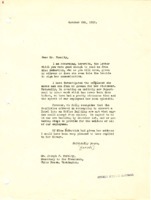 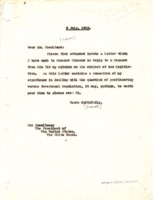 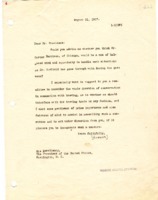 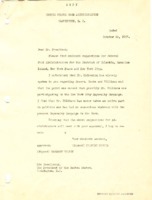 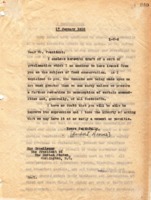 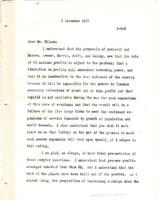 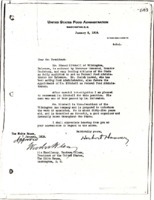 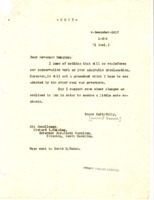 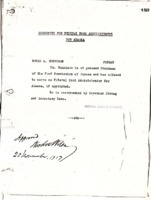 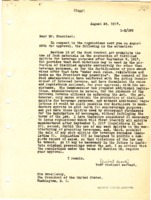 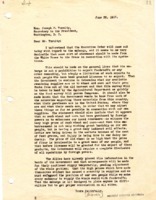 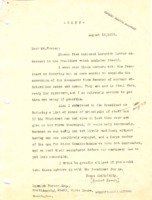 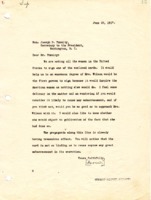 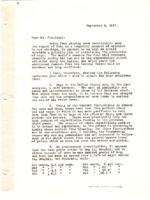 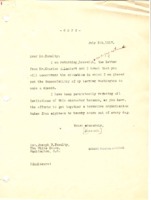 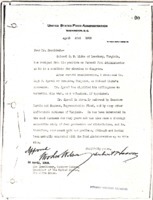 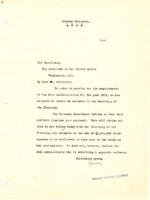 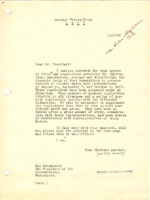 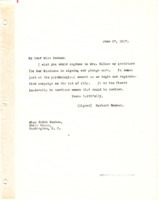 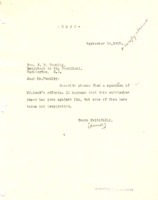 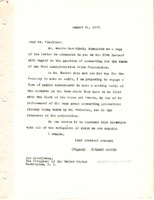 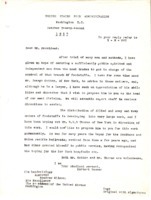 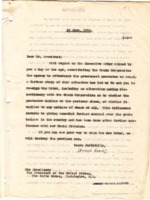 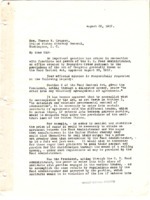 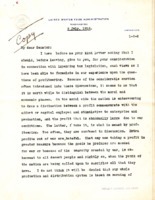 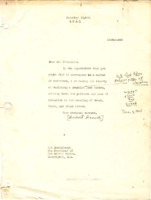 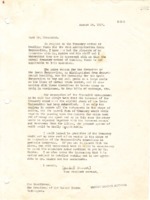 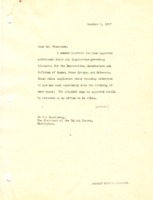 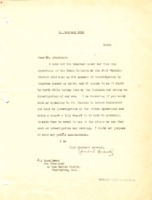 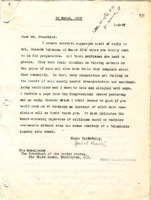 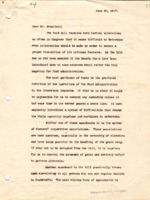 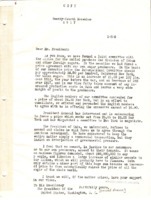 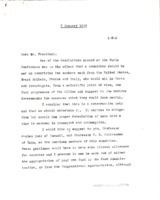 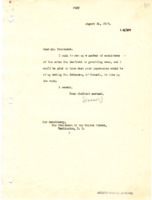 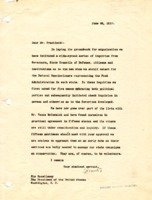 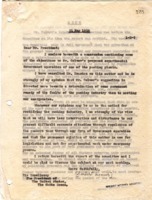 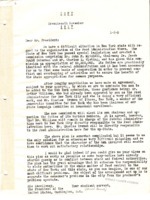 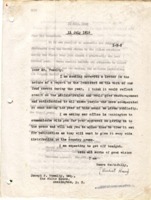 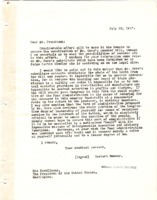 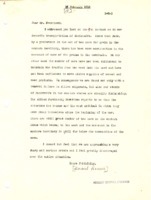 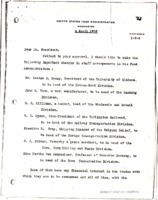 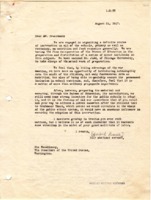 Hoover advises Wilson on a letter that he received. 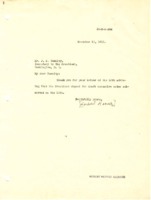 Herbert Hoover thanks Tumulty for sending him the Congressional Record regarding Mr. Carey declaring it a lie. 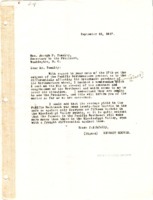 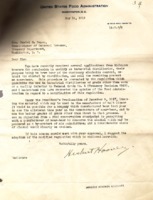 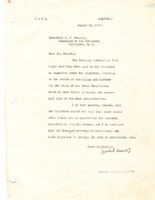 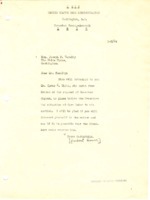 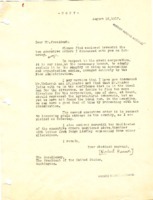 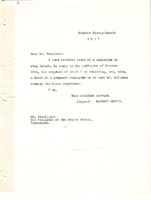 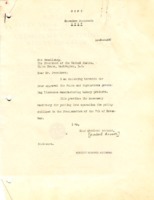 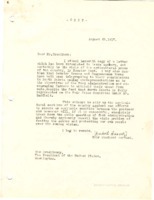 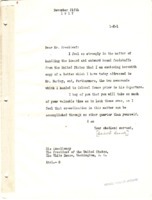 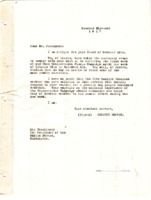 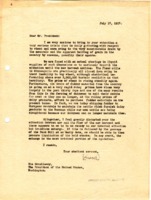 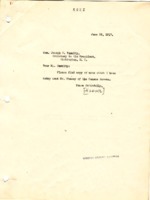 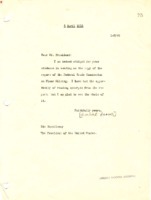 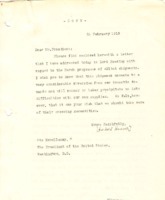 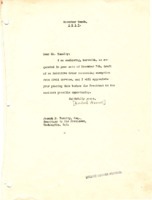 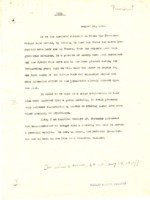 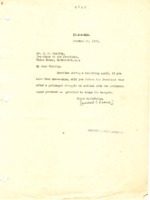 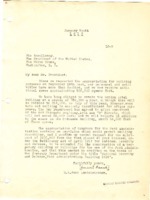 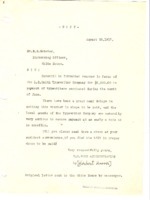 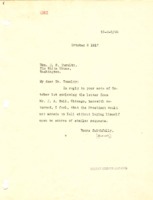 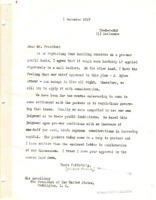 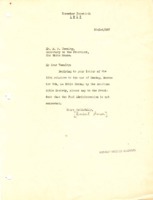 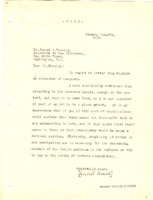 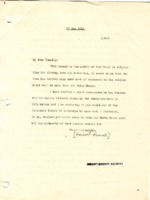 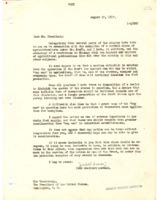 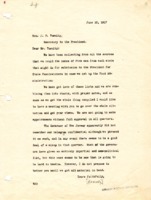 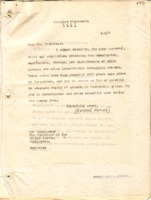 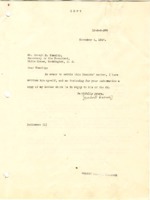 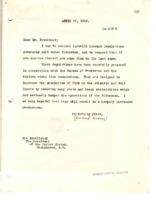 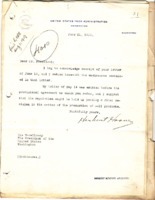 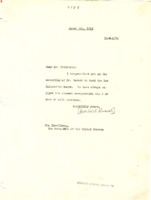 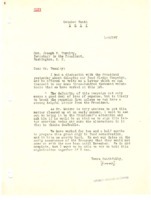 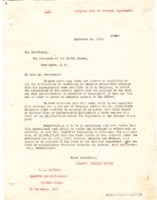 Herbert Hoover returns Charles E. Lambert’s letter to Joseph Tumulty, declining the invitation to speak. 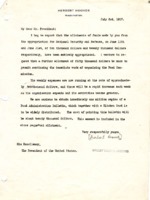 Herbert Hoover asks Edith Benham to thank Edith Wilson for signing the pledge card. 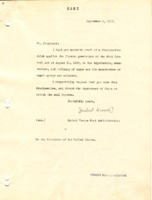 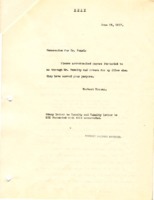 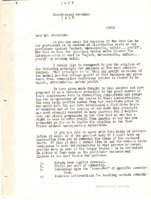 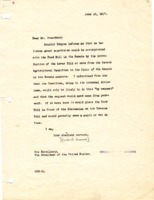 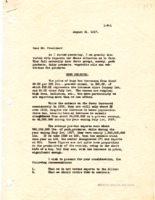 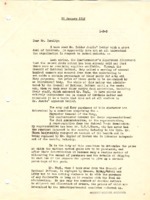 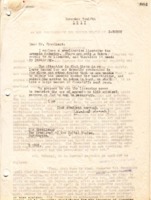 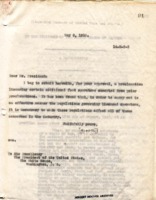 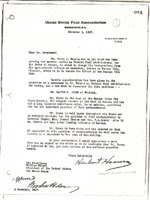 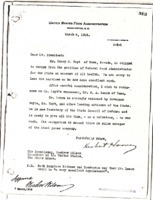 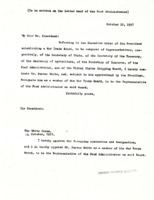 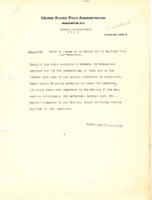 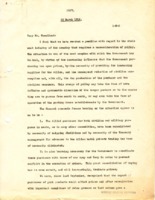 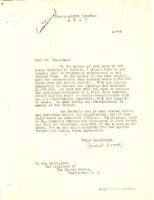 Herbert Hoover writes a memo for Dr. Pearl asking him to return the enclosed paperwork once they have served his purposes. 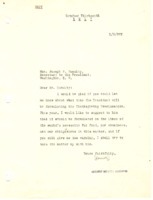 Herbert Hoover sends a copy of his note to Mr. Stacey of the Census Bureau to Joseph Tumulty. 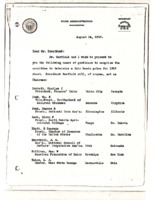 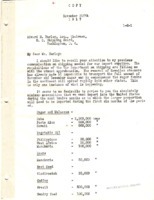 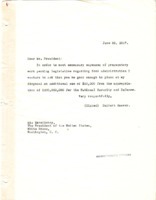 In this copy of his letter, Herbert Hoover acknowledges receipt from NP Webster of the check in the amount of $4,081.00.